The boys, along with Carl’s side of the family, went to the movies today to see Harry Potter. I, unfortunately, had to get more studying done. Only 5 more class sessions left, I have to keep reminding myself. 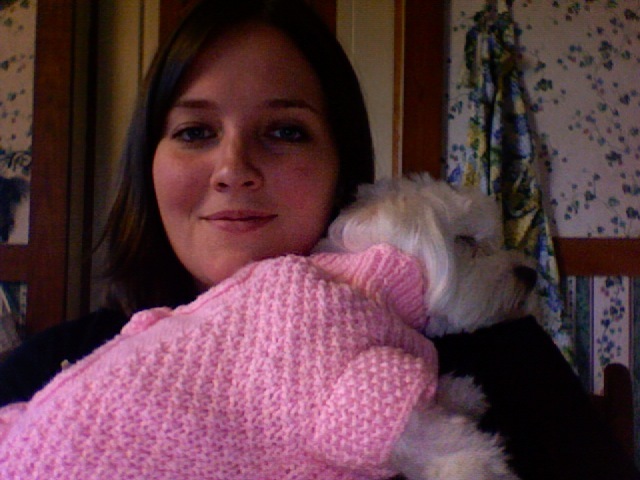 While I was studying, little Belle who recently got a hair cut was a bit chilly so she was cuddling up to me. I snapped a few photos in photobooth so I thought I’d share them with you here. 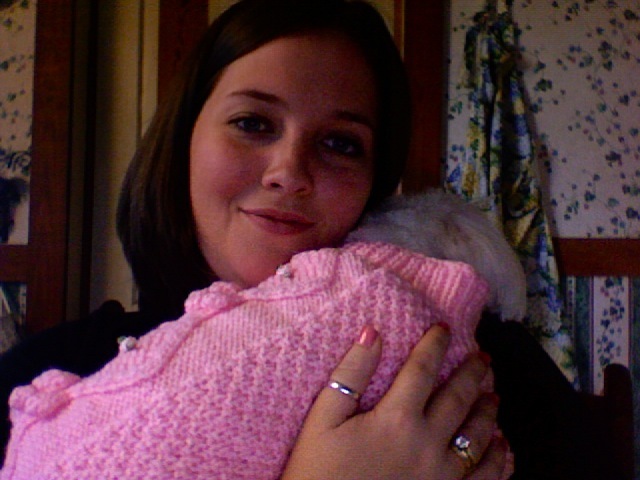 Isn’t she sweet in her little pink sweater?